Attention all SU Students, Alumni and Guests! 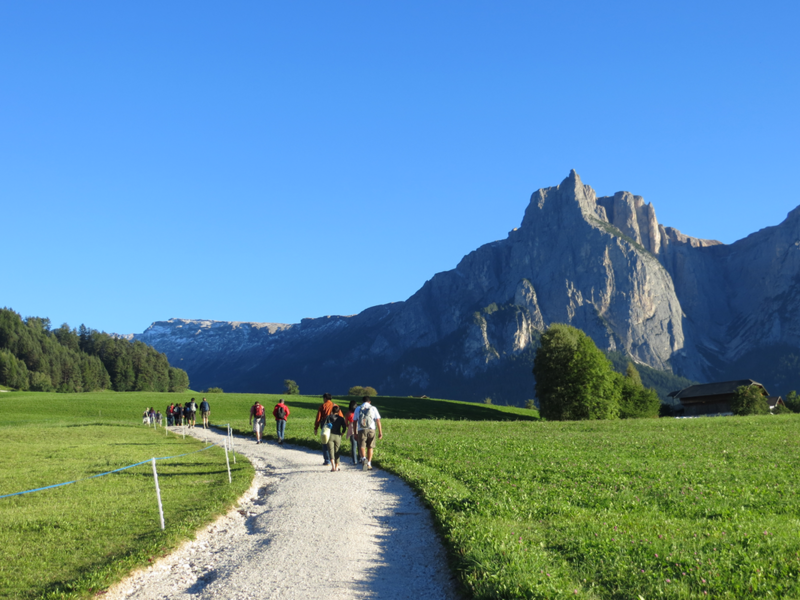 Join us in the Italian Dolomites for 9 days and 8 nights and as we explore the regions’ magnificent beauty while honing our emotional intelligence skills. This special course offers a unique program comprised of experiential exercises that take leadership development beyond the bounds of the usual classroom setting. The course is designed to elevate the level of emotional competence among its participants and increase their effectiveness in all relationships. The course helps individuals know themselves and their values better, achieve greater clarity of vision, and act in ways that are congruent with their intentions and goals. The impact of the experience and leadership skills gained will remain with you long after you leave the alpine meadows! The content was amazing and full of tools and lessons to take with us and use the rest of our lives. What an eye-opening experience! This course is one of the best courses I have ever taken. I understand now why people take this course multiple times. I would do the same if I could! The content was challenging, inspiring, and life changing. Loved the course! Unbelievably relevant to every aspect of life. Great class! I really liked the material and class exercises. The tools I learned from this course are very helpful. I have applied several techniques learned in class to identify and manage my emotions. I feel much more prepared to engage in relationships with my family, my friends, and my co-workers. I love the content of this course. Hard work, but life changing. Highly recommend! This is quite possibly the most valuable course I have taken thus far at SU as part of the MBA program. Very important skill to develop! I think the content made learning a challenging skill accessible. Very applicable to all aspects of life. Phenomenal instructors and curriculum. Enjoyed that non-business students took the class as well. Instructors were extremely engaging and involved. Best course I have ever taken. I gained so much from Bill and his team of instructors. I will recommend it to every student. Amazing class that lived up to its infamous life-changing reputation and every student’s expectations. Cost for Expedition is $1,950 for students taking the course for credit - regular Seattle University tuition rates apply. $2,500 for guests. Cost includes all lodging, meals and ground transportation during the 8 days, as well as course materials and facilitation expenses. Airfare to/from Europe and transport to/from Bolzano, Italy is not included. STUDENTS: Applications and deposit due by April 14, 2019 for MGMT-5335-02 Leading With Emot Intelligence. 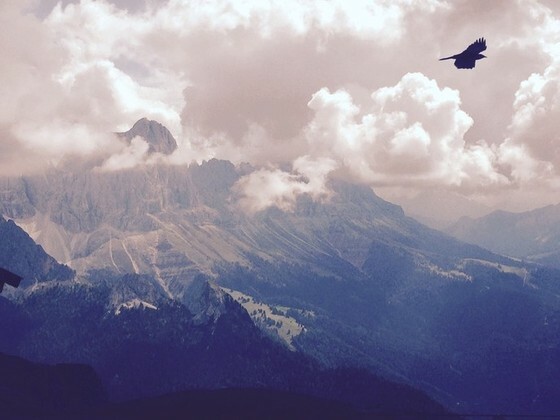 If you are registering for the MGMT 5335-02 Emotional Intelligence course in The Dolomites - a student taking the course for credit - please make a $350 deposit to Student Financial Services. Attach the deposit receipt to your application and either return those to Pigott 506 or mail to Pause, Inc. Remaining balance will be billed to your student account for the summer quarter. Our first class meeting is Sunday the 14th of April form 4-6 pm in Pigott 416. GUESTS AND ALUMNI: Applications and deposit due by April 14, 2019. $2,500 for family, alumni and friends – no tuition. Schedule of Payments: (1) $500 refundable deposit with application to the by March 15, 2019, (2) Remaining balance of $2,000 for non-credit family, alumni or friend participants) on or before May 2019. TOTAL = $1,950 for students taking course for Seattle University. credit. $2,500 non-credit alumni or guests. *YouTube videos created by Tiffany Branvold, a 2018 participant. Check into the hotel in Castelrotto and meet for opening reception and dinner at 5 PM. After breakfast check-in, yoga and classroom sessions. Afternoon group activities outside, yoga. Dinner at 7:45. After breakfast check-in, yoga and classroom module. Mixed group work throughout the day, hiking, yoga. Dinner at 7:45. Classroom meeting after breakfast, yoga, group work in the morning followed by an ascent to the Seiser Alm region via gondola. Hiking module to the Tierser-Alpl-Hutte (Rifugio Alpe di Tires), breaking for lunch en route. Stay overnight at the Tierser-Alpl-Hutte. Dinner and post-dinner module at the Tierser-Alpl-Hutte. Full day in the high country including hiking over to the legendary Schlernhaus for lunch and returning to the Tierser-Alpl Hutte for relaxation, dinner and post-dinner classroom module. Spend our second night up in the Tierser-Alpl-Hutte. Return hike to hotel, arriving early afternoon. Pre-dinner classroom session, yoga. Dinner at 7:45. After breakfast check-in, yoga and classroom module. Mixed group work throughout the day, yoga and free time. Closing celebration and dinner at 7:45. ​After breakfast check-in and closing activity (until about 10:30). On own, take bus from Casteltrotto to Bolzano (or collaborate on Taxi hires). Return to Seattle or to points beyond in Europe (flight timing will likely require spending a night in Europe for return flights to Seattle on September 17th).